An evening of trail running with friends, headlamps, and a bit of mud too! Join us for this annual favorite that you are sure to remember. 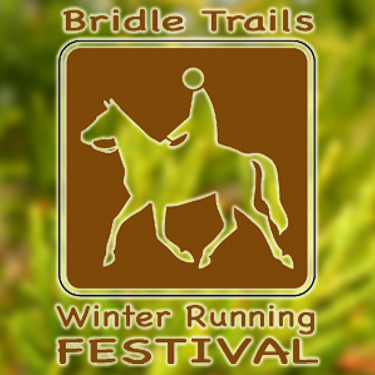 Bridle Trails Winter Running Festival is produced by Northwest Trail Runs and Seattle Running Club, and SRC hosts the official event page. 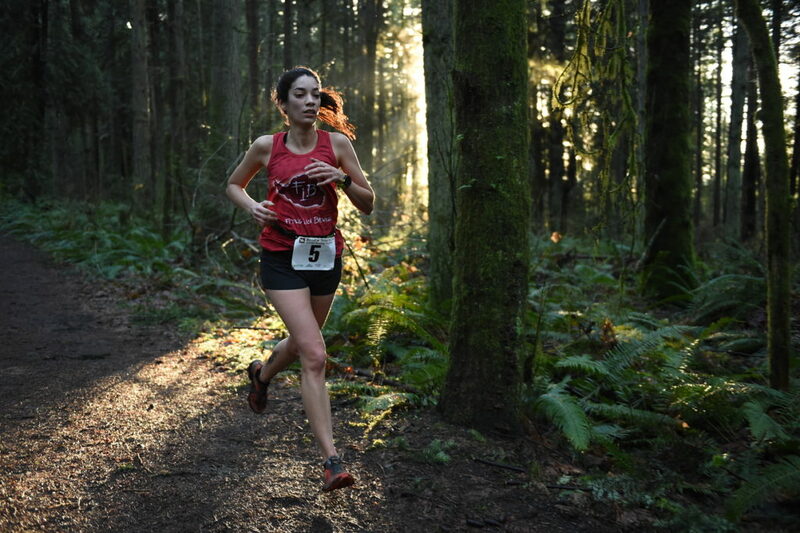 Northwest Trail Runs produces Bridle Trails Winter Running Festival with Seattle Running Club, who manages the registration for this annual favorite. 2019 Registration is now open! 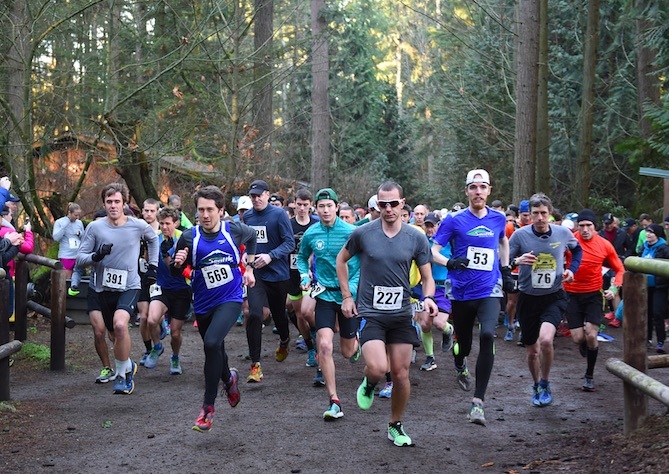 You can follow Northwest Trail Runs or Seattle Running Club on Facebook for all the latest news. For more information, visit the Seattle Running Club’s EVENT PAGE. All runners will use the same 5.2-mile loop of trails, mostly going clockwise around the perimeter of the park. The route will be marked with orange and white streamers, as well as yellow glow sticks after dark. Some sections of the trail are rough, rutted, or muddy, and it is Winter, so please watch your footing, and expect to get wet and dirty. Sunset is at 4:36pm, and it will get dark under the forest canopy pretty quickly after that. If there is a good chance you’ll be on the course after that time, please bring a headlamp with enough battery life to get you to the finish! ALL races will start at 3:00 p.m.
A Discover Pass is required to park inside Bridle Trails State Park. For your convenience, the park staff will be selling Discover Passes on-site. A single-day pass is $10, and a 12-month pass is $30. For directions to Bridle Trails State Park, click here to find directions on Google Maps, or use the following…. Northbound: Take exit #17 off of I-405. At end of off-ramp, turn right and head south on 116th Ave. NE. At four-way stop, continue straight ahead. The park entrance is located at the first opening in the trees on the left. Southbound: Take exit #17 off of I-405. At end of off-ramp, turn right and cross over freeway. At the first light, turn right again. Head south on 116th Ave. NE. At the four-way stop, continue straight ahead. The park entrance is located at the first opening in the trees on your left. Parking inside the park is limited, and we will set aside much of it for 50k participants and carpools, so please carpool, if possible. The park & ride lot adjacent to the freeway exit provides a good place to meet and form full carpools before entering the park. There is also limited parking up and down the street from the park entrance. If parking on the street, please park out of the way of traffic. Please be prepared to talk with and follow directions from the parking attendants. The reserved areas may not accommodate all 50k runners or carpools, let alone everyone else, so please leave yourself enough time to find street parking nearby and then check in before the start. Remember that you must have or purchase from the park staff a Discover Pass to park inside Bridle Trails State Park. There are many runners out there, and the trail will be somewhat congested after the start until runners spread out. Maintaining a sporting and cooperative attitude toward other runners will keep things fun for everyone. There are a few narrow stretches of trail, but the route is mostly wide enough for careful passing. If you are overtaking another runner and wish to pass, please announce your approach to alert the other runner, as needed; if you are being overtaken, please allow the overtaking runner to pass when possible. This is not the best trail run on which to bring a dog, due to the large number of runners sharing the trail, the size of the trail, and the fact that there could be horses. However, if you would still really prefer to run with your dog, please note that dogs must be kept on a leash at all times at the park, and you must be able to keep your dog (and its leash) from interfering with other runners and from barking at or stalking horses or other animals. Signs are posted weeks ahead of time in order to notify other park users of this event, however the park is open to others during the run. Please be courteous and share the trail with any other users you encounter. In particular, please know what to do in the event that you encounter a horseback rider: stop, step to the side of the trail (the lower side if on a slope), and yield the trail to the horse. Also, talk to the rider to help put the horse at ease; say hello and ask whether it is okay to walk past or whether you need to stand still. Please follow this rule of the trail to keep yourself and others safe and so that we will be welcome to have this event in future years.